150gsm – 55%Cotton, 45%Polyester, Chambray. Tortoiseshell buttons. Wash ‘n’ wear design. 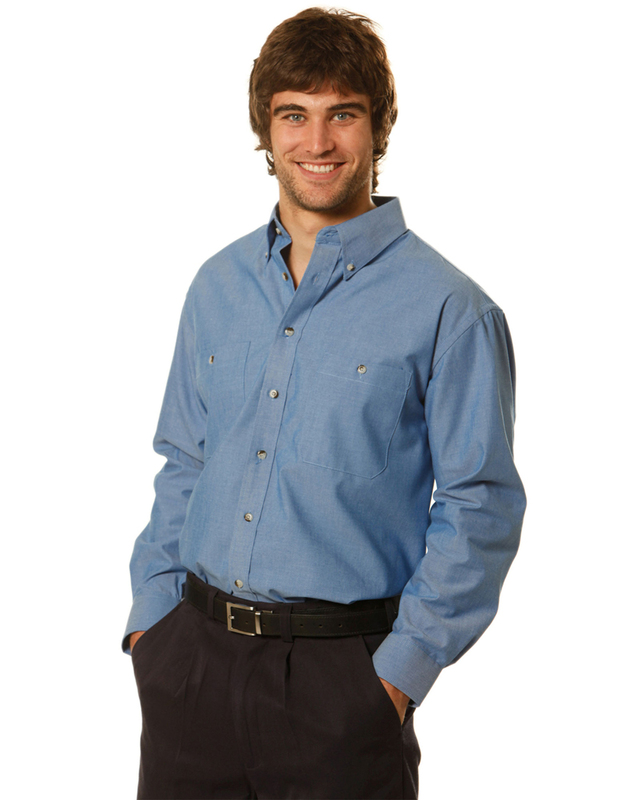 Button-down collar on men’s shirt.